Why are we at risk? Latin America is under the threat of activists and organizations that oppose the recognition of sexual and reproductive rights and whose actions seek to limit and reduce any improvement relative to freedom of choice. The political agenda carried out by these activists and organizations weakens liberties and hinders the exercise of a healthy, fulfilling and responsible sexuality. 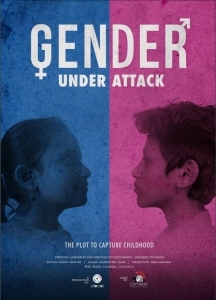 Gender Under Attack explores how this plot takes place in countries such as Peru, Colombia, Costa Rica and Brazil. In these four countries, conservative movements have turned the current political situation, electoral processes, changes in educational contents, and even a peace referendum into opportunities to spread hate speech and discrimination using fallacious arguments that lack any evidence and instill fear and mistrust. This documentary aims at alerting and informing public opinion about the risk our fundamental rights are in and the urgency of being ready to defend them. Production company: Centurión Producciones, CLACAI. Countries: Costa Rica, Colombia, Peru and Brazil.